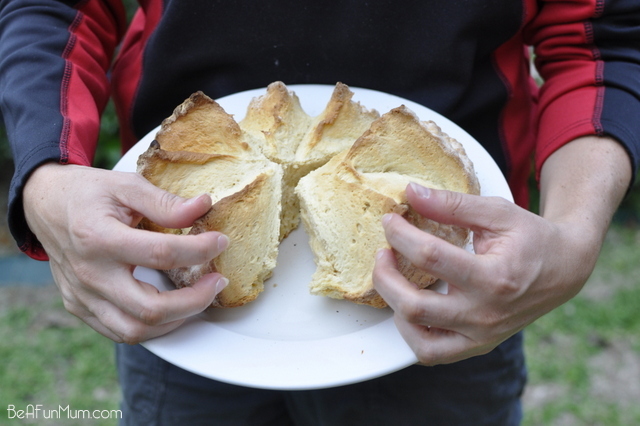 I made damper for the kids for a treat one afternoon. Easy, and delicious, especially when warm. Preheat oven to 180ºC. 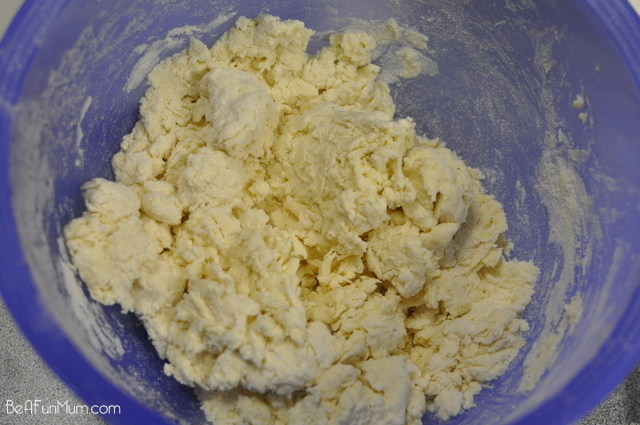 Add butter, flour and salt to a bowl and rubbed together with finger tips until combined. It will look like fine bread crumbs. Make a well in the centre for the liquid. 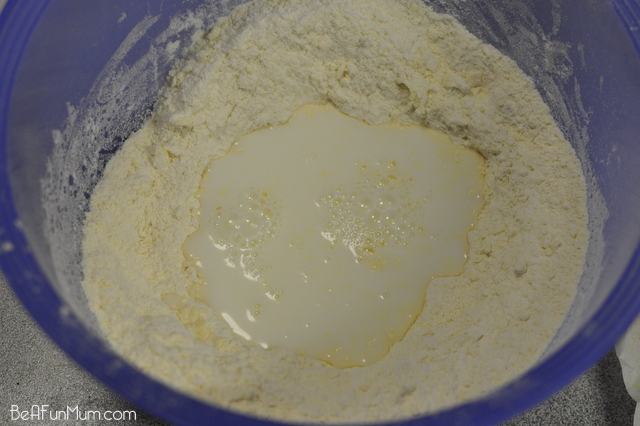 Add water and milk and use a knife to slowly combine the mixture using a cutting motion, starting form the outside of the bowl, and working the flour mixture into the centre. Keep working until dough forms. 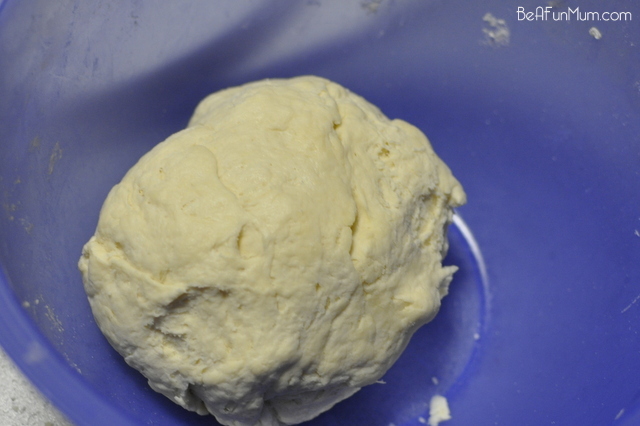 Once dough has formed, use hands to combine into a ball. If it’s too dry, add a little extra liquid. 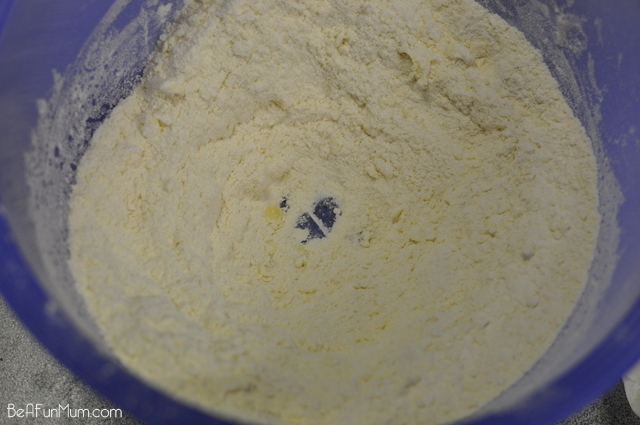 Remove dough from bowl and kneed on a floured bench for a few minutes. 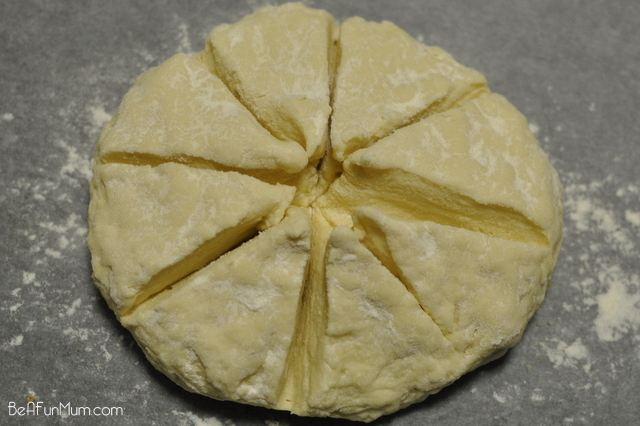 Place dough ball on a paper lined baking tray and press down on the top slightly to form a circle. 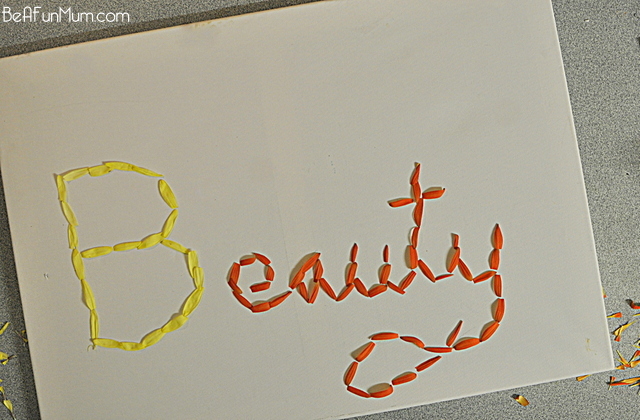 Use a sharp knife to cut 4 shallow lines on the top. Sprinkle on a little flour. Cook in an 180ºC oven for approximately 30 minutes, until cooked through. 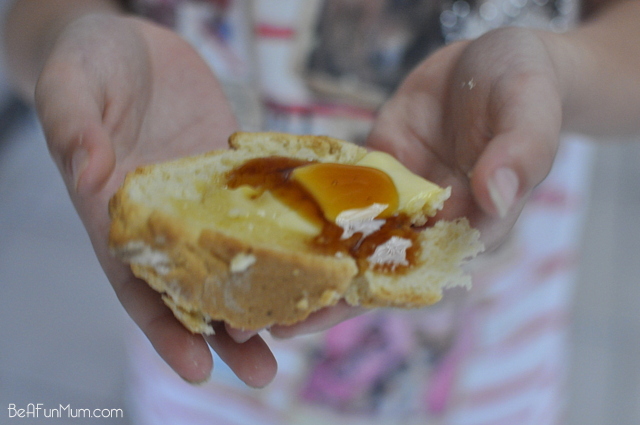 Best served warm with lashings of butter and a drizzle of golden syrup.